While you’d be hard-pressed to find a designer who would verbally devalue the importance of color, the truth is that most designers don’t give color scheme selection enough attention. Color shouldn’t be something you consider “down the road.” It should be the first thing you think about in the design process. In a recent study regarding the impact of color in marketing messages, researchers discovered that roughly 90 percent of all quick decisions regarding products are based on color alone. And sometimes a brand’s ability to engage customers simply hinges on satisfying their desires and demands. Standing out can be important, but meeting expectations is arguably even more significant. Think about this as you’re choosing a color theme for your website. The last thing you want to do is alienate your existing customer base. Before diving too deep into color selection, it’s imperative that you gain a firsthand understanding of what different colors mean – and the feelings they evoke. While you don’t need a master’s degree in color theory, nailing the basics can take you a long way. 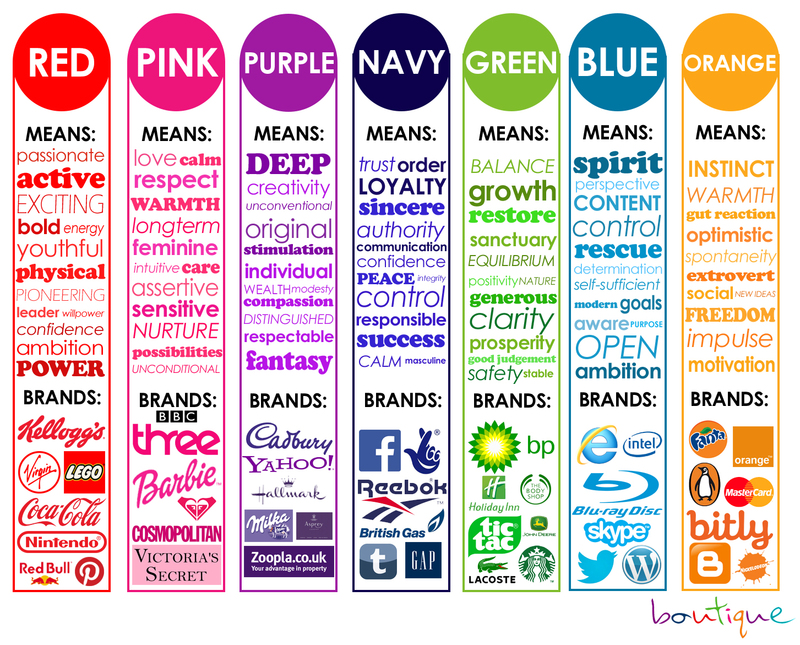 This infographic is extremely helpful – especially in light of marketing and web design – as it lists some of the different words associated with each of the major colors. For example, red means passionate, exciting, bold, energetic and youthful, whereas green means balance, restore, grow, and safety. While you certainly have the freedom to pursue any strategy you desire, it’s best to go with a common approach. Basic color scheme strategies include monochromatic – different shades and tints of one color – analogous – colors that are adjacent on the color wheel – and complementary – colors that are opposite of each other on the color wheel. Trying to pull a color scheme out of nothing can be challenging. That’s why it’s important to have the right tools at your disposal. And thankfully, there are tons of free and paid resources on the internet. Here’s a good list of 28 of the best tools around. After some trial and error, a couple of them may find their way into your toolbox. There’s no right or wrong color theme for your website. You certainly have some flexibility when it comes to choosing which colors to use and deciding how to integrate them into your site for an aesthetically pleasing experience; however, certain strategies are better than others. Consider the tips referenced in this article and begin thinking strategically about how you can select the right colors for your brand and target audience.